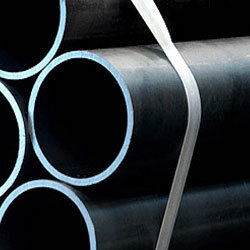 Aesterion Steel Pipes is a leading Heat exchanger tubes Manufacturer in India. We export & supply a wide range of Jindal Heat Exchanger Tubes, ibr Heat Exchanger Tubes, non ibr boiler, Heat Exchanger Tubes for higher temperatures, welded boiler tubing, boiler steel tubing, fabricated and straight Heat Exchanger Tube. Heat exchanger tubes can be supplied to most outside diameters, thickness, material specifications and radii. Tubes are manipulated to the tolerance of TEMA R as a minimum. Bend areas plus necessary straight leg sections can be heat treated in accordance with specified requirements. Heat exchanger tubes can also be hydrostatically tested if required. We can offer a range of additional testing on request, including dye penetrant and PMI testing. Heat exchanger tubes can be packed into solid wooden export cases (ISPM-15), or supplied in finger pallets to suit clients requirements. For both options all tubes are separated to facilitate easy assembly of bundles at site. Stainless Steel Seamless , Tubes & ‘U’ Tubes are manufactured and tested to international Standards, under strict supervision of highly qualified and experienced technocrats, to satisfy and meet the most critical demands of reputed industrial users for various applications, sizes, grades and specifications as per ASTM and also conforming other international Grade/Standards Equivalent to ASME, DIN, EN, NFA, and JIS etc. 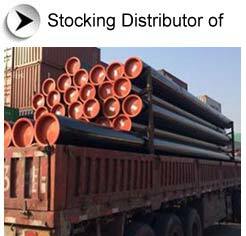 Aesteiron Steel Pipes has specialization in tubing for Heat exchangers, LP/HP Heaters, Condensers, Heating Elements and duly annealed, pickled, tubes with 30-meters length tubes. TP-304/304L, TP-304H, TP-316/316L,TP-316H, TP-316Ti, TP-317/317L,TP-321/321H,TP-347/347H,TP-405,TP-410, S31260, S31500, S31803, S32205, S32550, S32750, S32760. Oil & Gas, Petrochemical & Refinery, Fertilizer, Power Plant & All major industries. Aesteiron Steel Pipes has an extensive range of boiler and stay tubes available to meet your Heat Exchanger Tube requirements no matter how demanding. Heat Exchanger Tube is made from heat resisting carbon and low alloyed steels which can withstand the load at high pressure and temperature. Heat Exchanger Tube is used for parts of energy type equipment such as boilers, steam superheaters, steam pipelines, etc. The tubes are supplied as hot rolled or cold drawn. Specifications, dimensions and the steel grades are shown in a separate overview. The tube dimensions range from 10.2 mm to 139.7 mm, from 26.9 mm diameter and the wall thickness from 2.6 mm and they supplied as hot rolled. The smaller diameter tubes and the thick wall tubes of larger diameters are supplied as cold drawn and subsequently they are heat treated. The tubes delivery in this condition happens only if there is an agreement upfront at the time of ordering the tubes. Based on an agreement it is possible to deliver Heat Exchanger Tubes with dimensions and tolerances according to the dimensional specifications for precision tubes. The tube dimensions meet the requirements of the following EN 10216-2, DIN 2448, BS 3059-1, BS 3059-2, BS 3602-1, BS 3604-1, NF A 49-211, NF A 49-213, UNI 4991, STN 42 5715, STN 42 5716, ?SN 425715, ?SN 42 5716, GOST 8732, PN-H 74252, ANSI B36.10, ASME B36.10. The detailed dimensional overview is shown in the tables according to EN, DIN, BS, NF A, UNI, STN, ?SN and PN-H standards, GOST standards, TU standards, ANSI standards,ASME standards and standards for precision tubes. The Heat Exchanger Tubes are made from the following steels according to EN 10216-2: P195GH, P235GH, P265GH, 16Mo3, 14MoV6-2, 14MoV6-3, 10CrMo5-5, 13CrMo4-5, 10CrMo9-10, 11CrMo9-10, 25CrMo4, T2, T24, T5,T91; ASTM A 106: Grade A, Grade B, Grade C. Additional steel grades according to DIN 17175, BS 3059-1, BS 3059-2, BS 3602-1, BS 3604-1, NFA 49-211, NF A 49-213, UNI 5462, GOST 8731, GOST 4543, GOST 20072 and PN-H 74252 and its chemical composition and mechanical properties are shown in a separate overview. Types of the length of supplied tubes: (a) random, (b) fixed ± 500 m, (c) exact + 15 / - 0 mm. Straightness deviation for the whole length of a tube can not exceed value of 0.0015 x L. In conversion to the 1 meter length it can not exceed 3 mm. The ends of the tubes are vertical to the longitudinal axis and are without burrs. The tubes condition corresponds to the requirements of appropriate standards, heat treatment to the way of tube manufacturing and chemical composition of steel. The tubes with the outside diameter up to 51 mm are marked with a label that is attached to the bundle. Larger tubes are marked at least at a one end of a tube by the necessary data. While ordering, it is necessary to agree upon the way and means of temporary protecting the surface of the tubes during transportation and storing. The tubes may be supplied without temporary preservation of the surface, or with the preservation of the surface with an agreed upon preservative. The tubes are supplied in packages with a circular or hexagonal diameter with weight of 300 to 3500 kilograms. The tubes are bound with a steel band. It is possible to arrange wrapping to plastic sheet, burlap or to wooden crates. 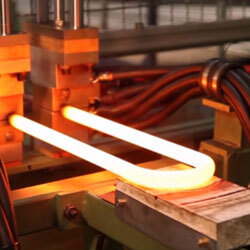 The Heat Exchanger Tubes are tested only with a specified testing. A precise list of mandatory and optional tests is shown in standards. The TR1 quality group is usually tested with nonspecified testing. The TR2 quality group is always tested with specified testing. The main difference in the mandatory tests between the TR1 and the TR2 is the fact, that in the TR2 quality the test is done using blow bending test at the 0°C temperature and as an optional test in this quality it is possible to agree on nondestructive test as a proof of longitudinal defects.